Michael Flynn, sometimes published as Michael F. Flynn, works full time as a statistician and writes science fiction as a sideline. 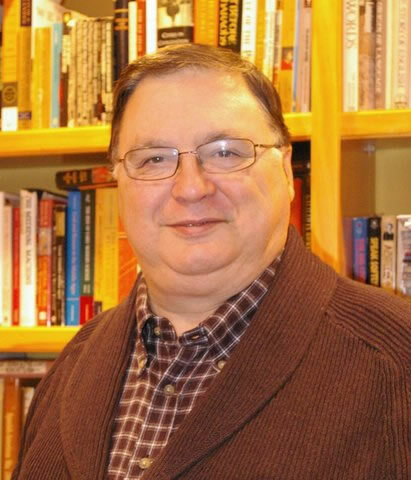 Nearly all of Flynn’s work falls under the category of hard science fiction, although his treatment of it can be unusual since he has applied the rigor of hard science fiction to “softer” sciences such as sociology in works such as In the Country of the Blind. Much of his short fiction has appeared in Analog Science Fiction and Fact. CLICK HERE FOR MORE BY MICHAEL FLYNN. 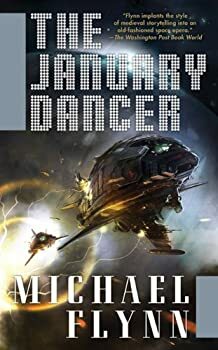 January Dancer — (2008-2013) Publisher: A triumph of the New Space Opera: fast, complicated, wonder-filled! Hugo Award finalist and Robert A. Heinlein Award–winning SF writer Michael Flynn now turns to space opera with stunningly successful results. Full of rich echoes of space opera classics from Doc Smith to Cordwainer Smith, The January Dancer tells the fateful story of an ancient pre-human artifact of great power, and the people who found it. Starting with Captain Amos January, who quickly loses it, and then the others who fought, schemed, and killed to get it, we travel around the complex, decadent, brawling, mongrelized interstellar human civilization the artifact might save or destroy. Collectors want the Dancer; pirates take it, rulers crave it, and they’ll all kill if necessary to get it. This is a thrilling yarn of love, revolution, music, and mystery, and it ends, as all great stories do, with shock and a beginning. Eifelheim is one of those transcendent science fiction stories where an author is able to treat very human and Earth-bound issues with a well-reasoned and fascinating gloss of aliens and science. 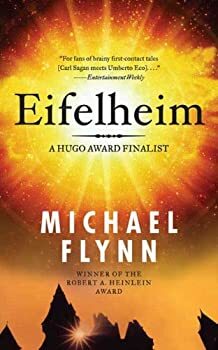 Author Michael Flynn's alien mythos and capabilities are believable and seamlessly integrated into the very real history of plague-era Germany. The Hugo-nominated novelettes are, as a general rule, better than the Hugo-nominated short stories. As was true of the short stories, however, none of the nominees is a story I would place among the best of the year.